Be one of the first to hear about our many popular events when you join our community email list. 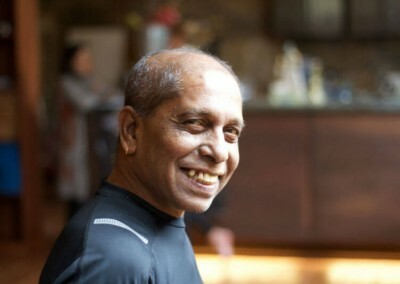 Manju Jois is the oldest son of K. Pattabhi Jois, recognized worldwide as the foremost authority on Ashtanga Yoga. Manju was born on November 16th, 1944. At the young age of 7, Manju was awakened early each day by his father to begin lessons that would forever change the course of his life and the lives of those who would study with him in the years to come. He began his teaching career at the age of 15 with his father and has taught ever since. 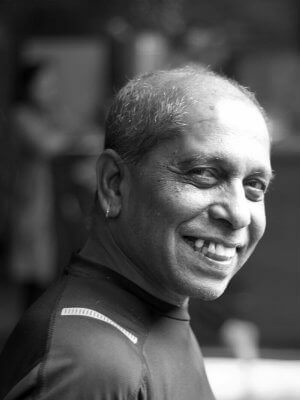 Manju is dedicated to his mission of teaching the ancient tradition of Ashtanga vinyasa yoga, for a total mind-body-spirit unification with Self and has taught the true Mysore Ashtanga method for over 50 years. Manju and his father brought Ashtanga vinyasa yoga to the USA in 1975 and Manju has traveled worldwide teaching this tradition ever since. He offers Ashtanga weekend workshops, teacher trainings and intensive week-long classes. He incorporates pranayama and vedic chantings in his classes, which go very well with Ashtanga yoga practice. Manju’s intention is to teach in the way of the Ancient tradition and bring the many benefits of Ashtanga yoga to his students. Manju is devoted to his wife Nancy and their young daughter Sathu, named after her paternal Grandmother, who was born in 2002. Sathu is a multi-talented, beautiful girl, who continues to bless the Jois family beyond measure. Having Manju Jois come and share his extensive knowledge and practice with us at SYL is an honour. Manju is the oldest living practitioner of ashtanga yoga, yet always comes with a humbleness and a lightness of spirit that is palpable. His dedication to his fathers work and the continuation of the tradition as he learnt it leaves a deep feeling that you are truly involved in the evolution of a living practice. When is Manju teaching at SYL? Join us for an evening conference with Manju Jois as he shares his years of insights on sharing the Ashtanga Yoga practice for over 50 years and how it’s shifted over that time. Manju will also talk about the current climate Ashtanga yoga finds itself in, his relationship with his father and offer suggestions on how we, as a community, can move forward. There will be an opportunity for questions and Manju will also lead some vedic chanting. 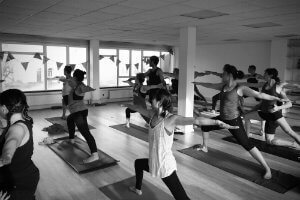 We are honoured to welcome Manju to Stillpoint Yoga London for a unique Yoga Therapy training. Manju is dedicated to his mission of training teachers in the ancient style of yoga, which includes asanas, pranayamas and peace chants for a holistic experience. The chanting of the peace Mantras and the Pranayamas will be part of this workshop and taught in detail under Manju´s guidance. Chanting is deeply releasing and healing practice and helps to integrate the asana work into the body and mind. Manju will provide a deeper understanding of Yoga in his talks and open discussions at the end of each day. For the training you will be provided with a manual and at the end with a letter of participation. To attend the training a regular practice in Ashtanga Yoga is required. 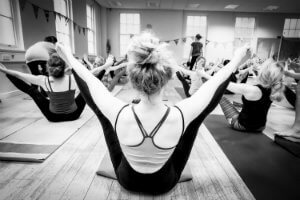 Ashtanga Yoga Teachers and longtime practitioners will benefit alike for their own teachings and their personal practice.